Blog How Does an Effective Dust Control Program Actually Work? How Does an Effective Dust Control Program Actually Work? Dust control is far from straightforward or easy work — read on to learn more about what a well-designed dust control program truly looks like. Unfortunately, none of the above rings the least bit true: dust control is a complex science that requires significant expertise to tackle successfully. To help you navigate these murky waters, here’s a brief guide to designing and executing an effective dust control program. Perhaps the most important thing to remember when it comes to a dust control program is that different sites call for different product chemistries, as well as different approaches to application. 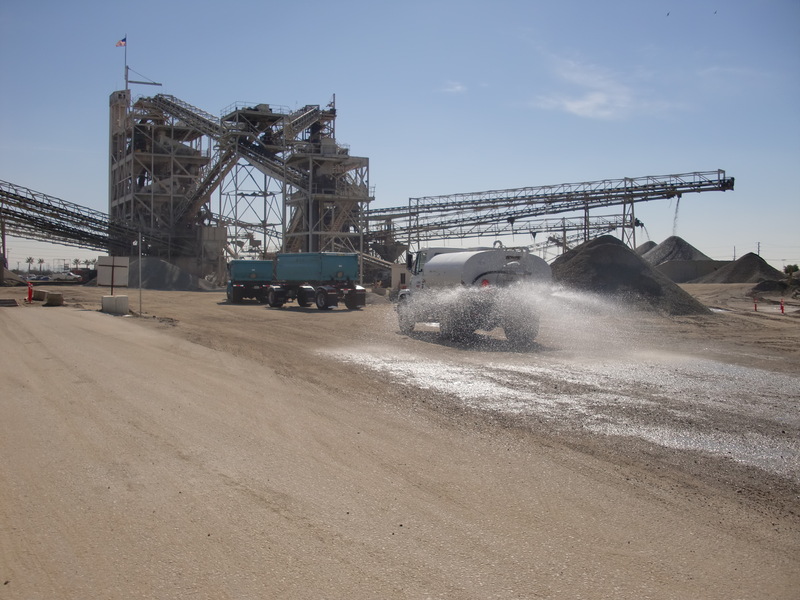 Depending on a wide variety of factors relating to your site, including climate, traffic patterns, and environmental regulations, your dust control program will need to accomplish a predetermined control efficiency while also accounting for these variables. If your dust control vendor knows how to design an effective program, they’ll begin by trying to learn everything they could possibly need to know about your site. They’ll ask what level of dust control your site has currently, for example, and whether you’d like to either maintain that level or improve upon it. A good dust control vendor is something like a good doctor: they understand that in order to help you, they’ll first need to know as much as they can learn about the problems you experience, both currently and in the past. It is crucial to ensure that your vendor can accurately assess the needs of your site and then match those needs to the appropriate products. An effective dust control program will always establish objectives to be accomplished over a predetermined program duration. A big problem that crops up when you buy a product instead of a program is that when the product your vendor sold you fails to bring about the desired level of dust control, the vendor will simply suggest that you buy more of it. The burden of failure should never fall on you — you’re the one paying for results! Consider the option of outsourcing management of the application process and be sure to ask if your vendor can handle the application for you. Proper application accounts for more than half of dust control success, so if you do go the insourced route, you want to ensure that your vendor is able to provide expert assistance and training. With the right equipment, expertise, and products at your disposal, however, you’ll be on the right track to controlling dust. Furthermore, if you establish clear objectives for the program’s application from the get-go and hold your vendor accountable for application, you’ll never be on the hook to pay more than you bargained for. At Midwest Industrial Supply, Inc., we’re so confident that our programs will be successful that we actually share the risk of taking on a dust control program with our customers. Instead of charging our customers for 40-50% of the program’s total price during the first few months, we charge the same price throughout the program, no matter how many gallons of product we used during a given month. 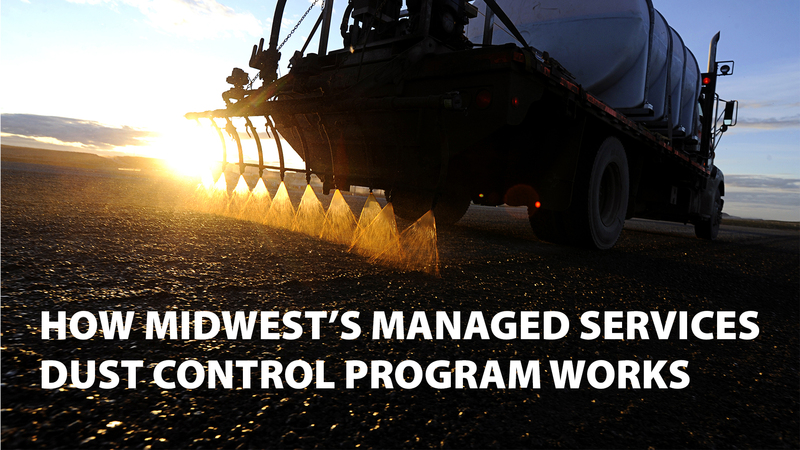 Furthermore, Midwest’s expansive suite of dust control products allows us to tailor our programs to the specific needs of your site in a way that other vendors simply can’t. For instance, our market-leading synthetic fluid with binders like EnviroKleen® and EK35® are certified by independent third parties for performance and environmental efficacy. No matter what your dust control needs might be, Midwest has the necessary experience and tools to develop a sustainable, effective dust control program that keeps your site safe and environmentally compliant.